Mountain biking Cornwall is a great activity no matter what your age or what the weather; in fact inclement weather can make a day on the trails even more challenging and enjoyable. From novice to the Extreme Expert, there are cycling trails in North Cornwall to cater for all abilities. 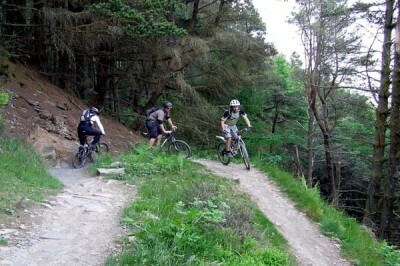 Below are listed a few of the trails for Mountain Biking Cornwall. The growing popularity of this sport means that more are opening all the time. Also, here in North Cornwall we have great coastal paths, bridal paths and moorlands for you to explore. What better way to explore the majestic cliffs and Atlantic breakers, beautiful countryside and breath-taking views, picturesque villages and historic towns that Cornwall has to offer, than to cycle or mountain bike? The Cornish Way extends over 180 miles from Bude to Lands End. Of the seven trails that make up The Cornish Way, two pass through North Cornwall; The Camel Trail and The North Cornwall Trail. THE NORTH CORNWALL TRAIL This Mountain Biking trail can be joined right outside our luxury Cornwall holiday cottages, as the trail passes through Trelash. Alternatively, you can join the trail at the upper end of the Bodmin section of the Camel Trail, or in Bude. From Bodmin the trail follows The Camel Trail out of Bodmin onto the quiet lanes of Bodmin Moor to Camelford. The trail then crosses some of the most remote parts of Cornwall. Once past the village of Hallworthy you can choose between a more strenuous route via the coast and the dramatic cliffs of Millook (this route passes through Trelash), or an easier inland route through Week-St- Mary. From Bude the route continues through the pretty village of Marhamchurch. 1. Bodmin to Wendford Bridge is 10,600m long and caters for beginners / novices. This section travels through woodland, clothing the river bank, and skirts the edge of Bodmin Moor. 2. Padstow to Wadebridge covers 9,000m This section follows the spectacular Camel Estuary, offering wonderful views of creeks, sandbanks and rocky shores. A birdwatchers’ paradise at any time of year, you can see a host of winter wildfowl and seasonal migrants. NB. There is an on-road section through Wadebridge. 3. Wadebridge to Bodmin is 10,600m long. Between Wadebridge and Bodmin the route passes through some magnificent woodland, clothing the river bank. Note that at the Wadebridge end there is an on-road section through the town. Era Adventures provide purpose-built trails graded from novice to expert, so there is something for all the family to enjoy. They even provide Night Ride sessions. 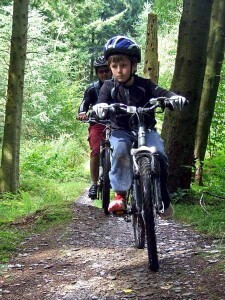 Their experienced qualified Mountain Bike Instructors provide guided rides and skills courses. Cardinham Woods Mountain Biking Trails, is based on Bodmin Moor near Bodmin and provides trails catering for all grades of mountain biking. 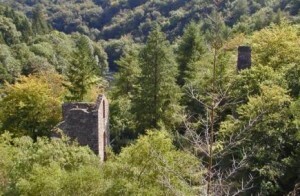 The Bodmin Beast trail is a Blue 12km mountain bike trail with some Red sections. The trail has single-tracks, technical uphill and down hill descents, tight bermed corners, small step downs, rollers and table tops. There are two Red sections, which are optional: The ‘Dialled-In Dave’ (0.9km) which is natural, flowing and pretty fast and then ‘Hell’s Teeth’ (1.8km) which has a tough climb, is steep in places, has a number of technical features and a very steep bermed final descent. The woods also have a lot of gravel based forest roads that families can cycle through. These are multi-purpose so watch out for walkers, horse riders and dogs etc. Just over the border near Tavistock, these trails provide over 500ft of gravity fed descent. Four tracks cover a range of Reds up to Black graded trails and the terrain is a mixture of flowing single tracks to root laden, rocky, steep and technical descent. 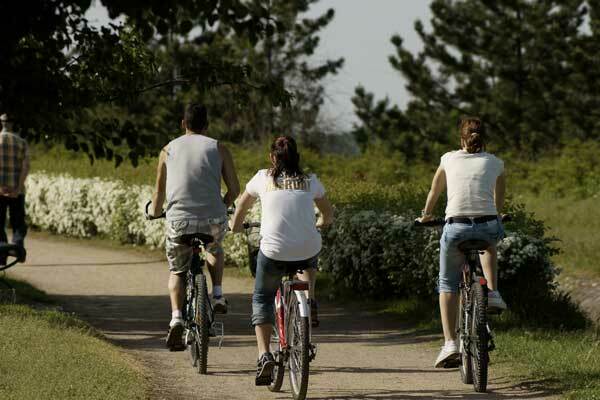 The riding areas are on private land so you must be a member to ride the trails. Day passes are available. The HSD Red Track is over one mile long with a vertical drop of 440 feet OK for all abilities including the beginner. The Super Tavi Black Track is over 0.7 miles with 500 feet of vertical drop and is graded BLACK. The Egypt Double Black Track is over 0.5 miles of steep rocky terrain with 380 feet vertical drop. Apparently this trail has the reputation of being one of the hardest tracks in the UK. Siblyback is a striking lake on Bodmin Moor. The Mountain Bike Trail, known as the Sibly Back Spin, is over 3,500m long and is family and beginner mountain biking friendly offering relaxed cycling in picturesque surroundings. The TAMAR TRAILS, Gulworthy, Tavistock. This brand new trail centre opened April 2013 and provides 25 km of dedicated traffic free mountain biking trails. The trails have been built to cater for easy cycling for all the family to some of the most Extreme Mountain biking Cornwall. Bikes are available for hire one on site.